St. Louis Police officer Tom Lake (in blue tie) poses for a picture with St. Louis aldermen on Friday. In some respects, the fact that Tom Lake was able to stand before the Board of Aldermen is breathtaking. The St. Louis Police Department sergeant was shot in the face less than a month ago while driving in his car in south St. Louis. He survived his injuries, and received a rousing welcome from city aldermen on Friday. Lake was driving on Hampton Avenue in southwest St. Louis last month when a car pulled up on his left side. The driver, later identified as George P. Bush III, shot him twice in the face. Police eventually shot and killed Bush. Throughout his career as a police officer, Lake has worked in all parts of St. Louis. At a time when there’s an intense local and national debate over the perception of police, Lake said there’s robust support for rank and file officers. St. Louis Police Sgt. Tom Lake talks with reporters on Friday. 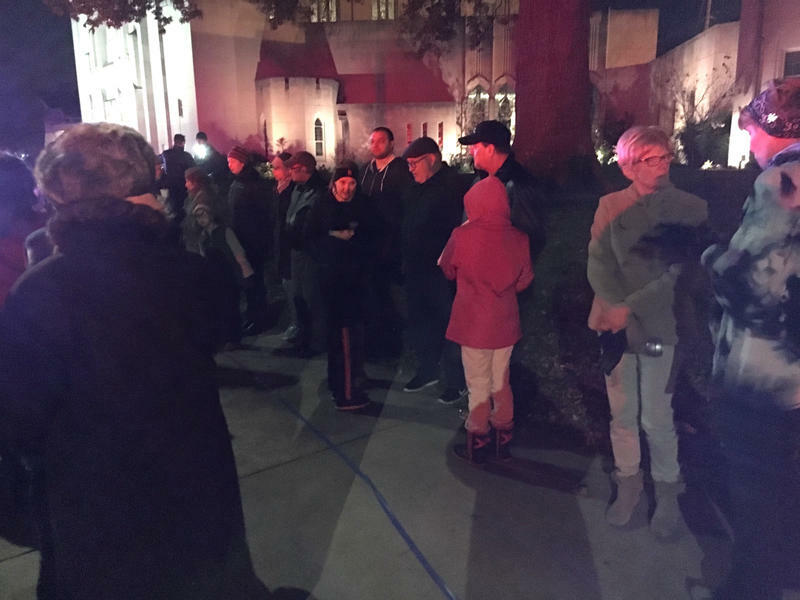 After news of Lake’s shooting spread throughout St. Louis and the nation, hundreds of people gathered for a prayer vigil near his home in St. Louis Hills. Lake said the outpouring of support sent a big message. “We have to develop a program for these children to make them better. And that goes with teachers. That goes with lawmakers. That goes with everybody,” Lake said. “Everybody has to take a stand and say ‘We’re going to help the youth of today become better leaders for tomorrow.’ And if we don’t do that, we’ve lost. We might as well turn the lights out, lock the building up, and get on a boat and leave. “And that’s the challenge that we all have before us,” he added. The St. Louis Post-Dispatch reported that a fundraiser for Lake will take place on Dec. 22 at Bartolino's restaurant. Meanwhile, the Board of Aldermen is close to backing a tax incentive package to expand Ballpark Village. 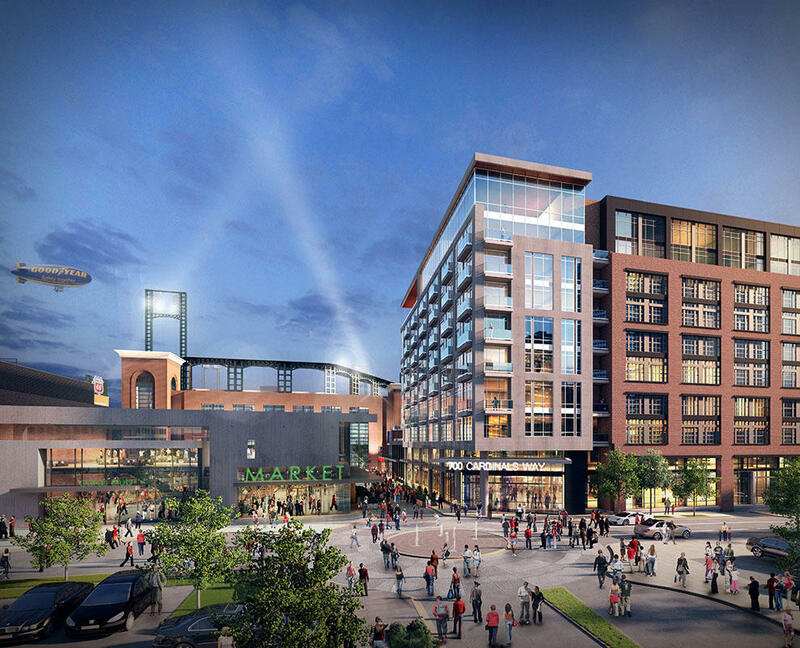 The possible expansion of Ballpark Village would include a mix of retail, entertainment office and residential space. Aldermen voted 17-6 to give initial approval to the proposal. Alderman Jack Coatar, D-7th Ward, said Ballpark Village’s expansion could provide a big jolt to Downtown St. Louis’ economy. Critics of the proposal questioned whether St. Louis’ government should expend tax incentives to foster high-income development, especially when the city is dealing with crime and disinvestment. Aldermen still need to give the expansion final approval before it goes to St. Louis Mayor Francis Slay. The organization representing black police officers in the city of St. Louis is demanding that St. Louis Metropolitan Police chief Sam Dotson resign. Sgt. 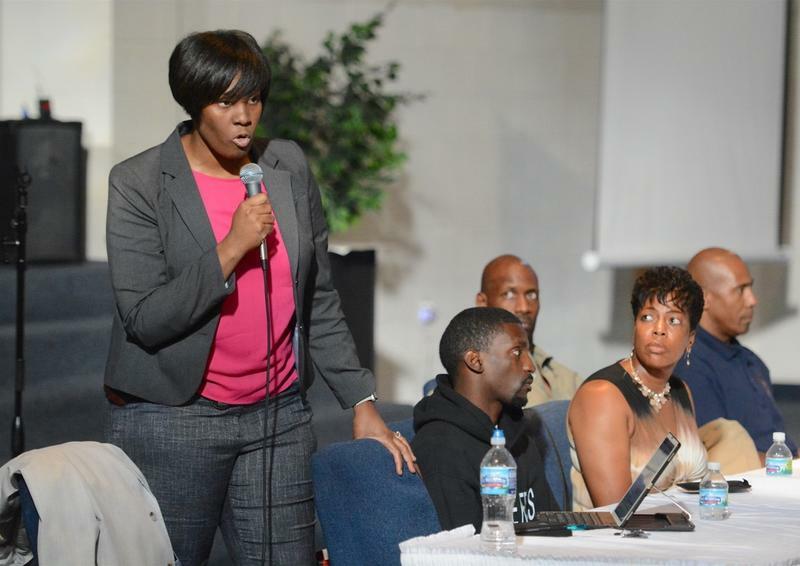 Heather Taylor, the president of the Ethical Society of Police, made the demand Thursday night at a forum set up to tell people about the disparities in the police and fire departments. On May 12, Clara Norise made history. 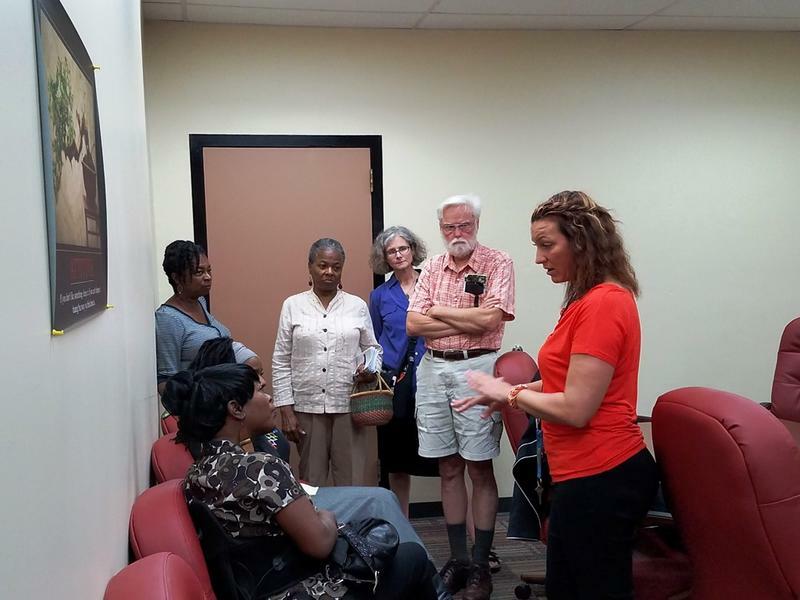 On that date, Norise went to the office of the Civilian Oversight Board and became the first person to file a complaint with the board, which oversees internal affairs investigations. She alleged that a police SWAT team didn't have probable cause when it barged into her house on a drug raid earlier that month, and that it used excessive force in conducting the raid. On Monday, the board voted not to do its own investigation of the case, and accept the punishment handed down by the Internal Affairs Division. Confidentiality rules prevent the exact nature of the punishment from being made public. Updated Nov. 21 at 8 p.m. with video from Chief Dotson — St. Louis Metropolitan Police officials say the suspect in the ambush of a police officer has been killed in a shootout. Chief Sam Dotson said 19-year-old George P. Bush III was shot hours after he pulled up beside a marked police car near the Hampton Village Shopping Center in south St. Louis and shot a 46-year-old police sergeant, who was released from the hospital Monday morning. 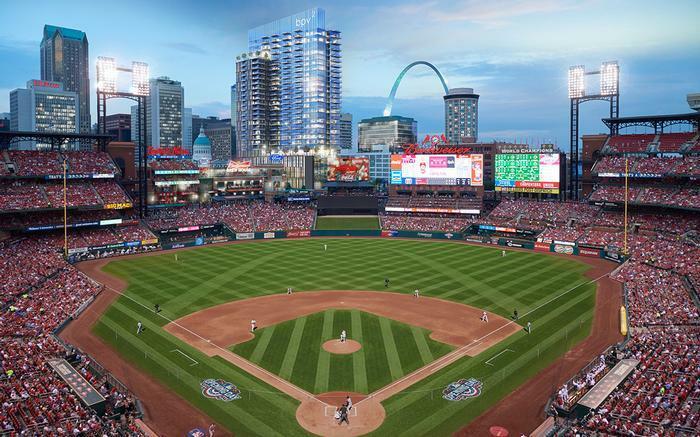 A St. Louis aldermanic committee approved a $56 million tax incentive package for Phase II of the Cardinals’ Ballpark Village on Wednesday in a meeting that also delved into larger economic development issues in the city. 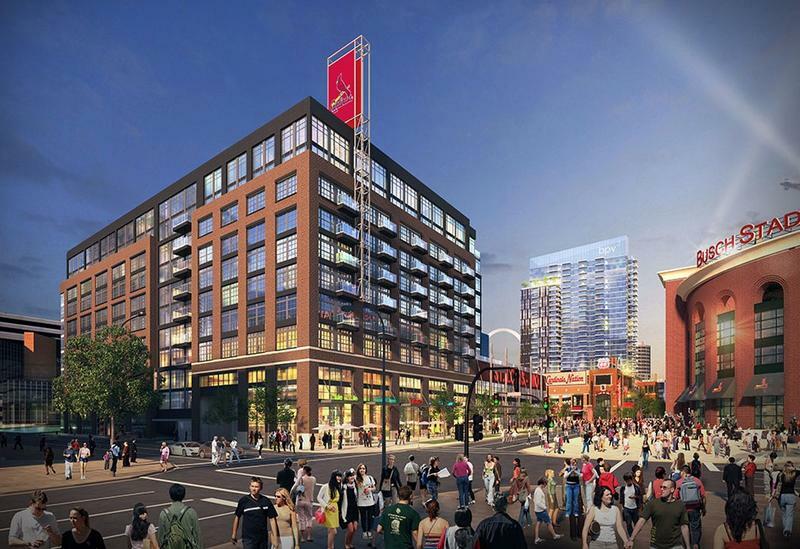 The next phase of Ballpark Village would change the look of downtown St. Louis. The Cardinals, along with development partner Cordish, plan to build a 29-story apartment building at the corner of Clark Avenue and Broadway Avenue, just north of Busch Stadium.